Rogier is a general practitioner and innovation specialist at star-shl diagnostic centers, a non-commercial cooperation delivering diagnostic services to over 2000 GPs in the Netherlands. His special interest is point-of-care testing (POCT). Educated as a GP-researcher at Maastricht University, he has contributed to numerous research publications and book chapters, particularly in the field of diagnostic testing, lower respiratory tract infections, and C-reactive protein POCT. He is still involved in various research and implementation initiatives in this field, in collaboration with various research institutes. 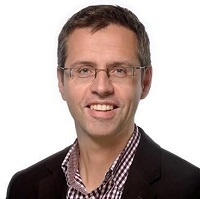 Rogier is a member of several working groups in the Dutch College of General Practitioners (NHG) and in the POCT expertise group at the Dutch College of Clinical Chemists (NVKC), co-authoring guidelines on acute cough and rational laboratory testing. He is the principal author of the Dutch, multidisciplinary guideline on POCT in general practice. He is also a member of the Board of Directors of the GP chronic care group PoZoB.